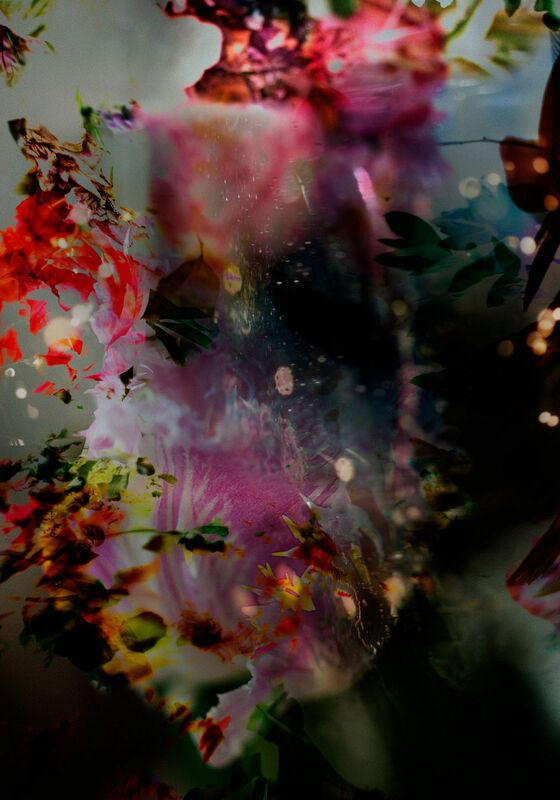 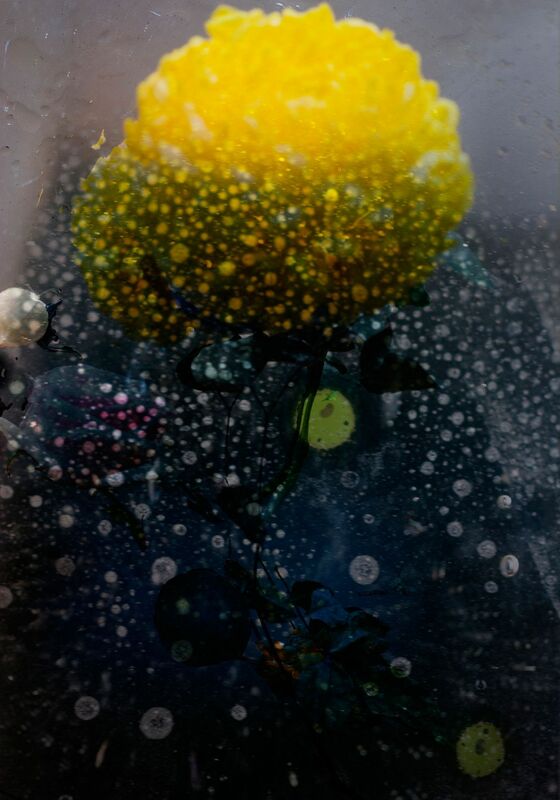 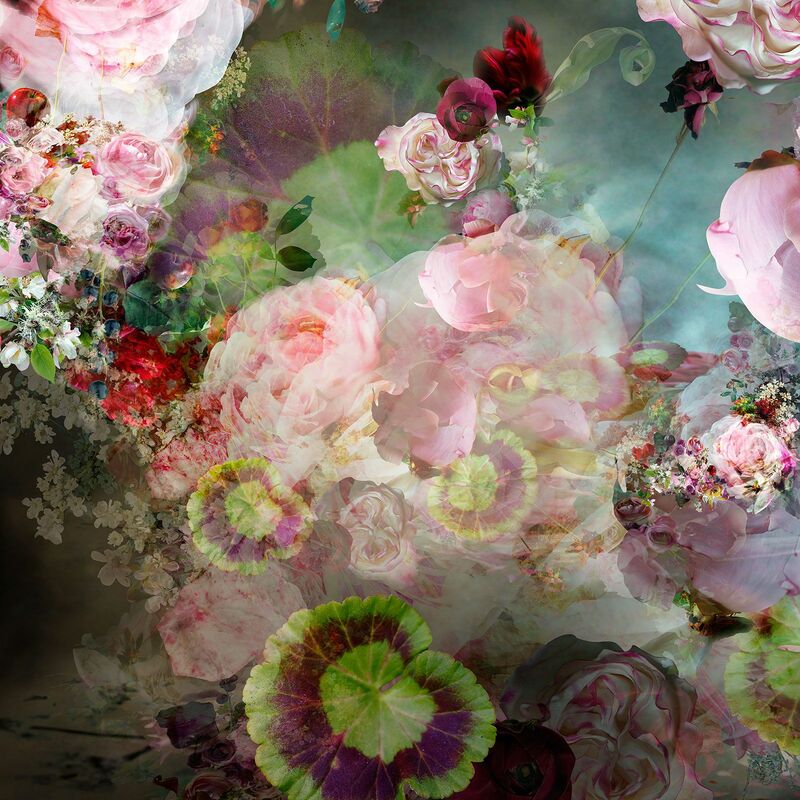 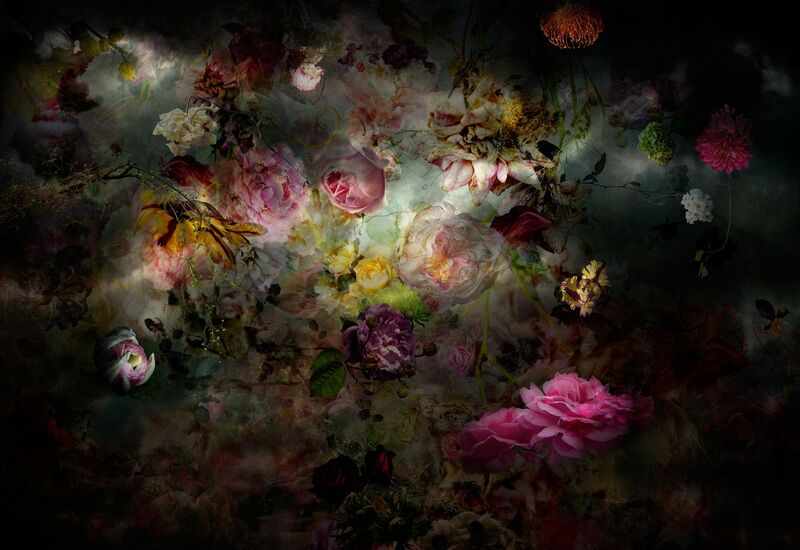 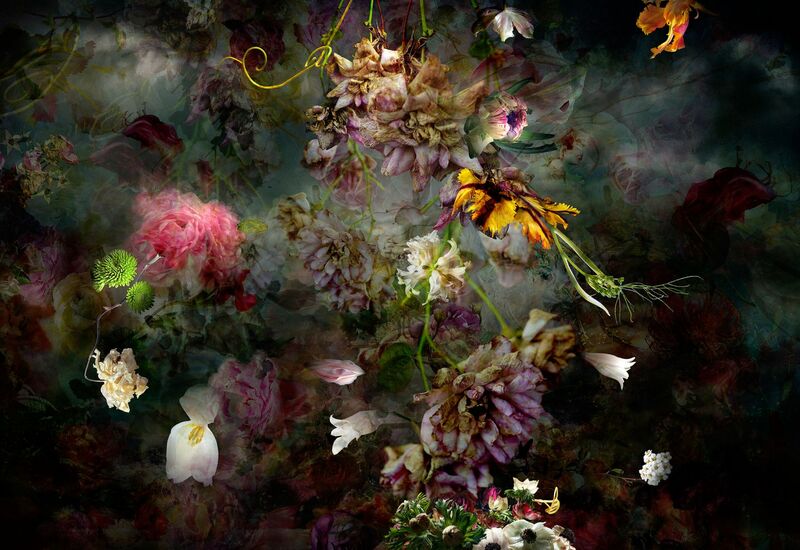 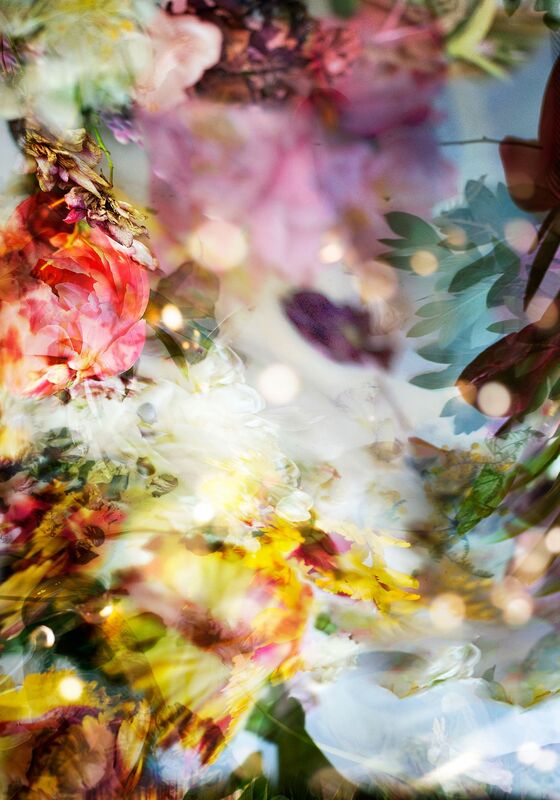 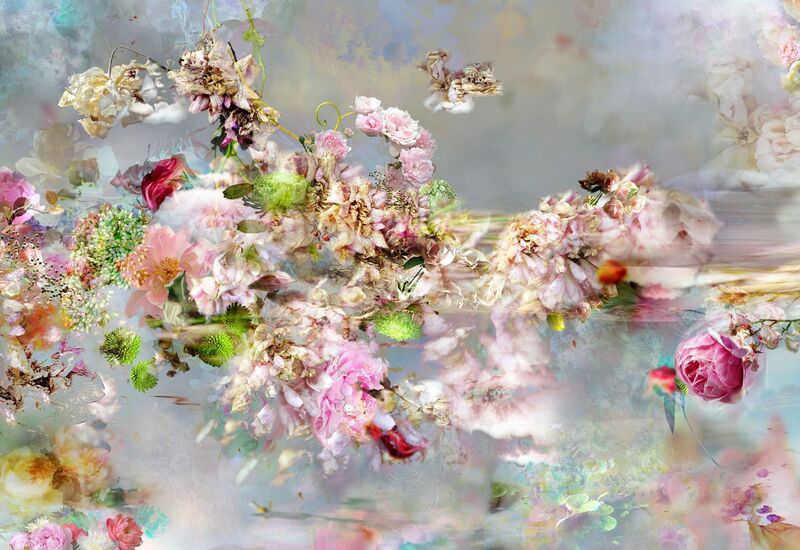 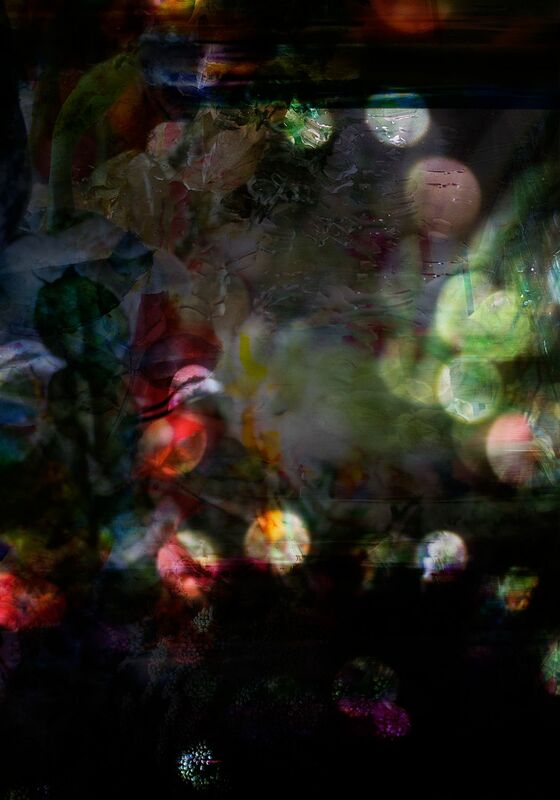 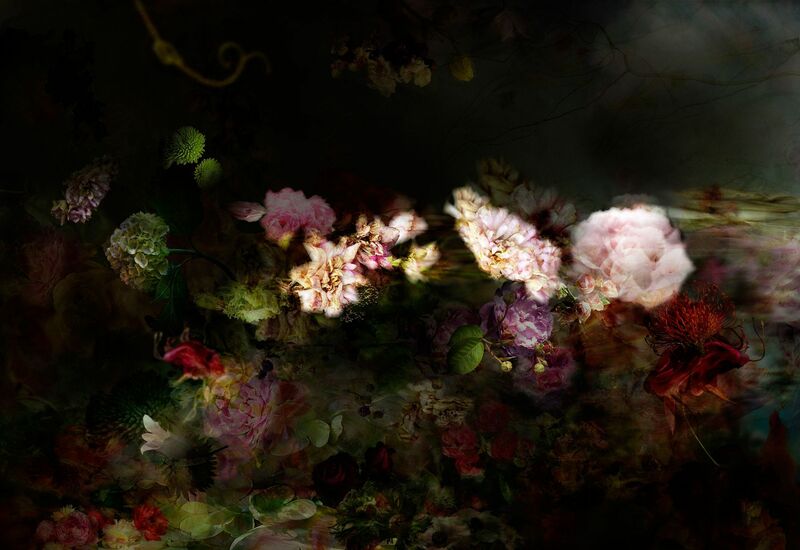 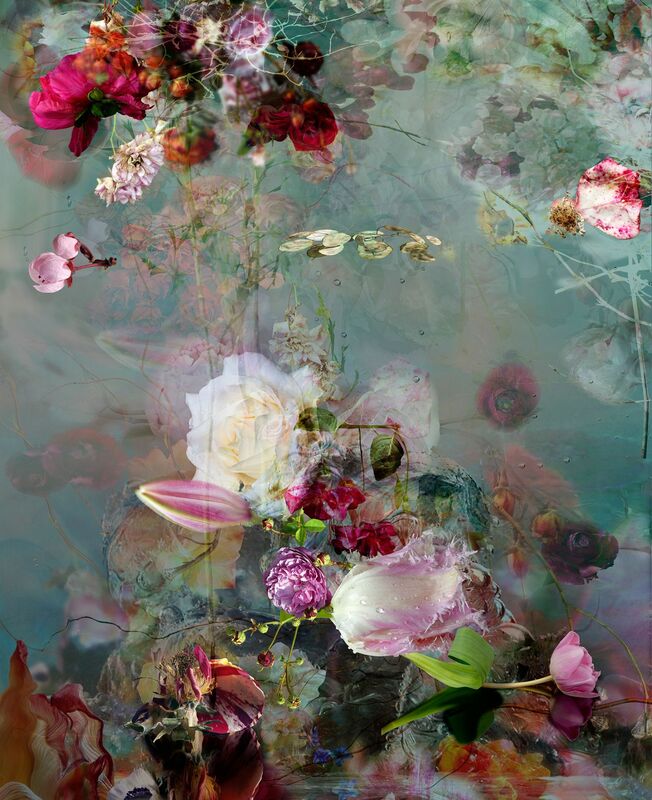 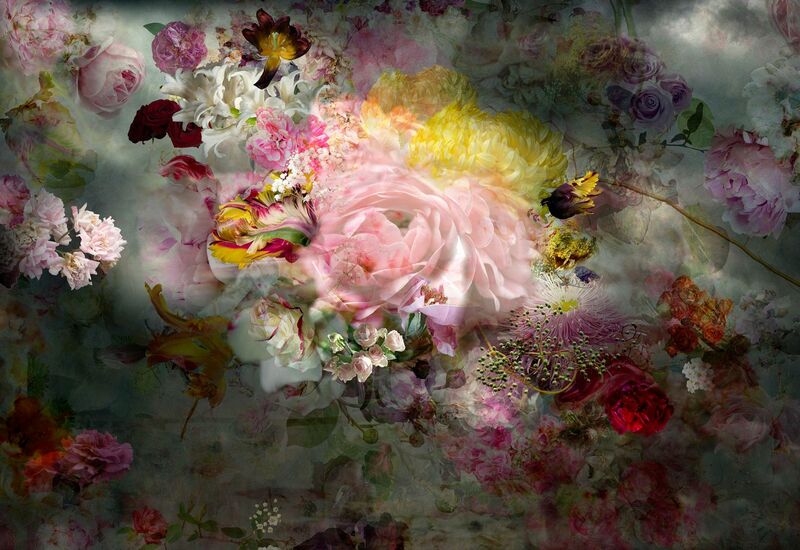 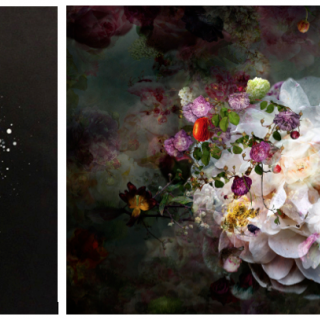 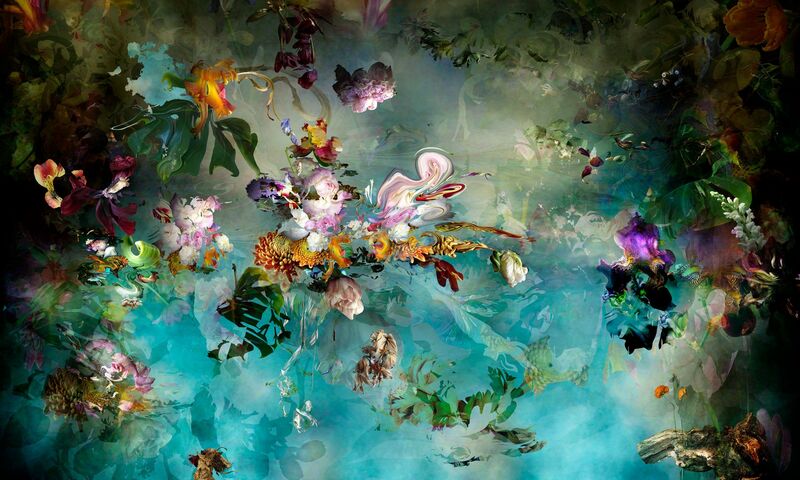 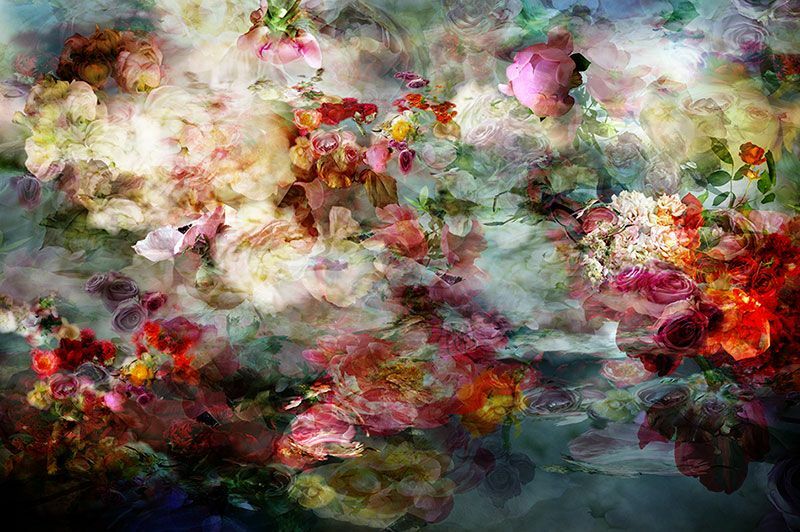 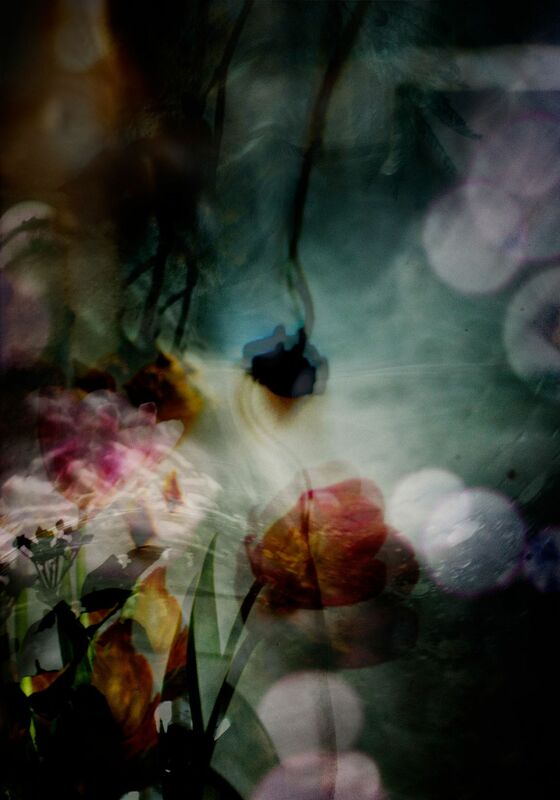 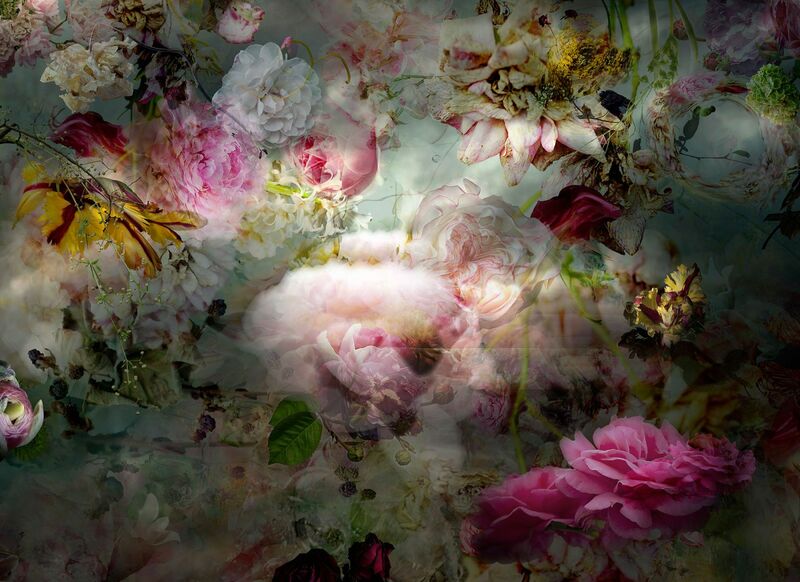 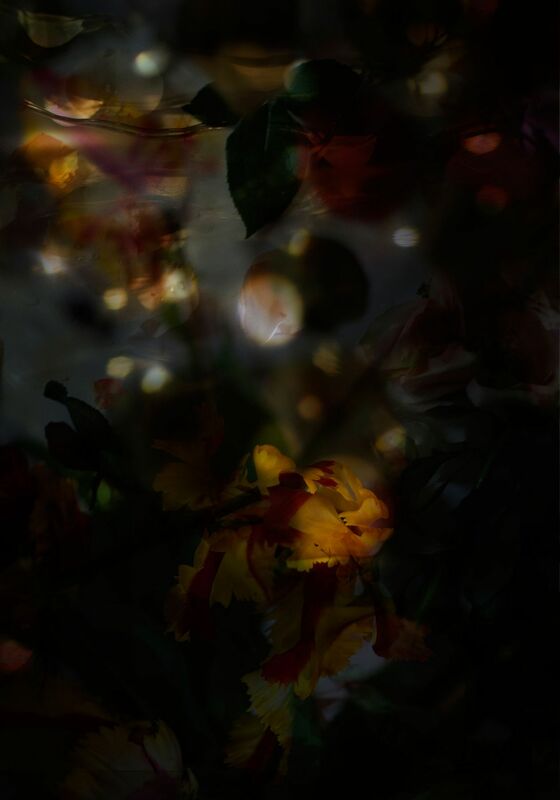 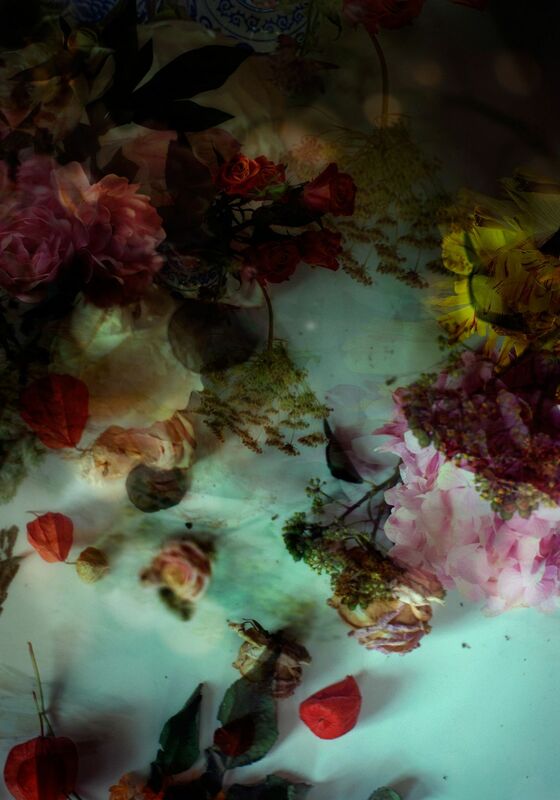 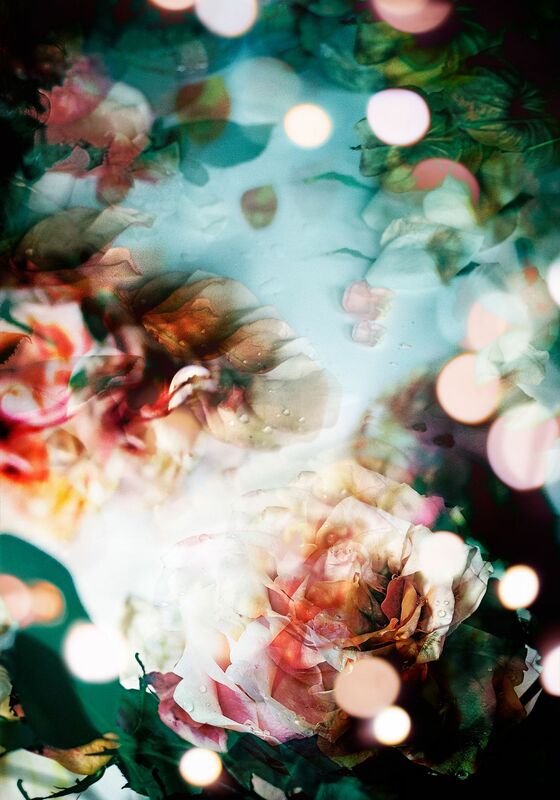 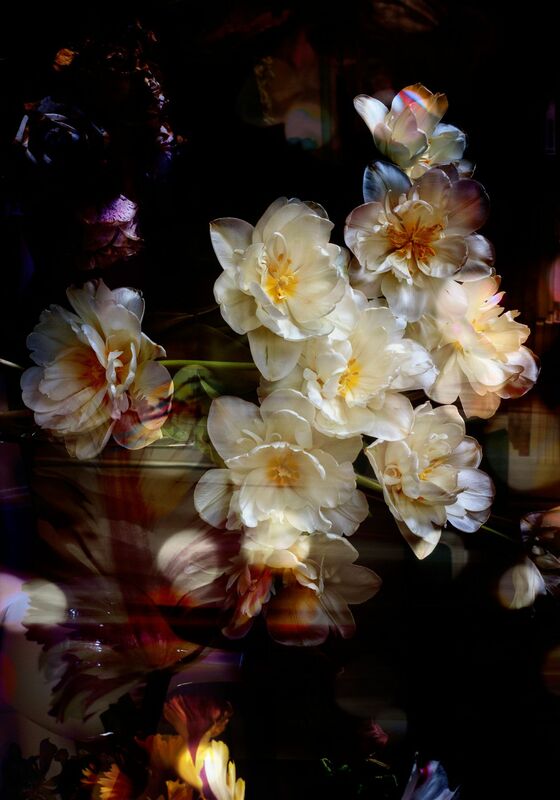 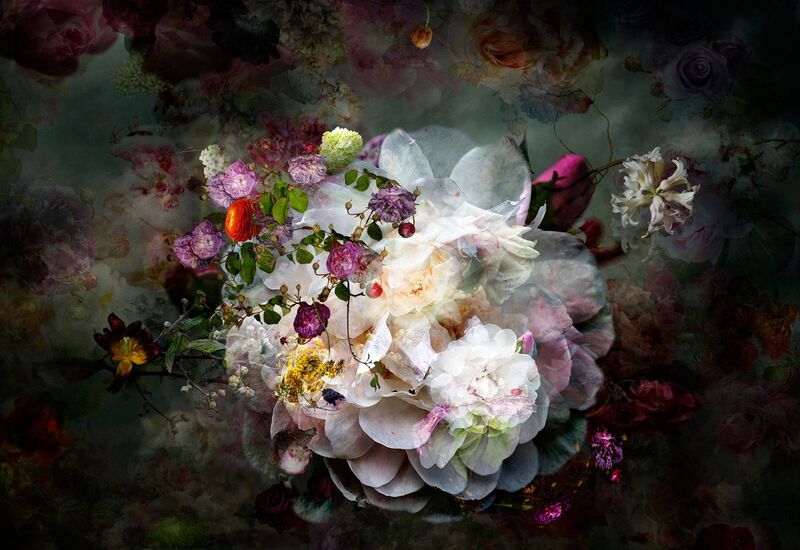 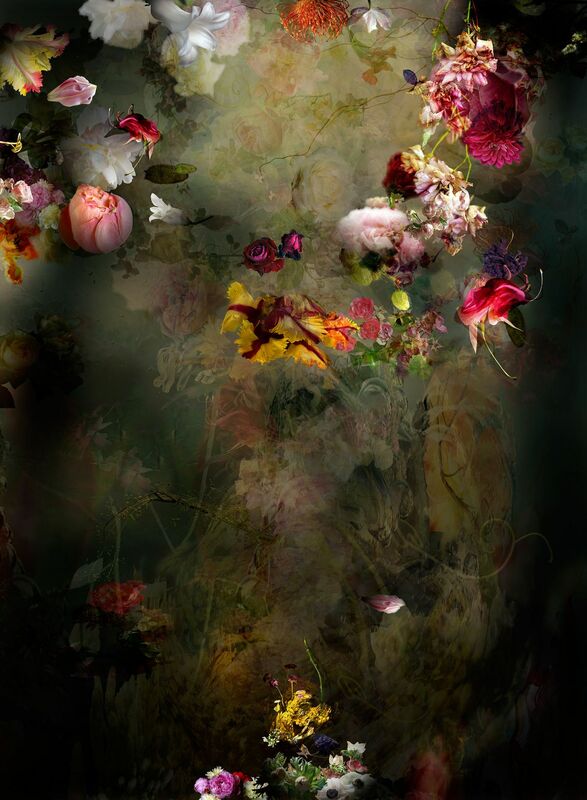 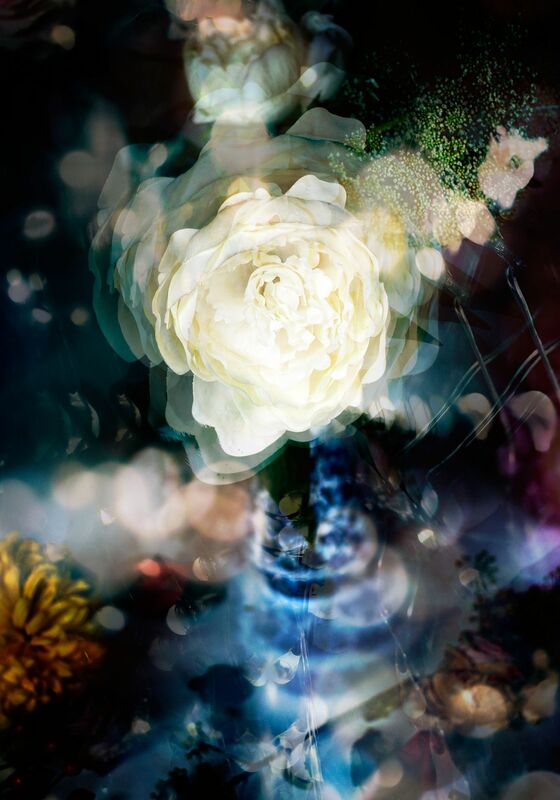 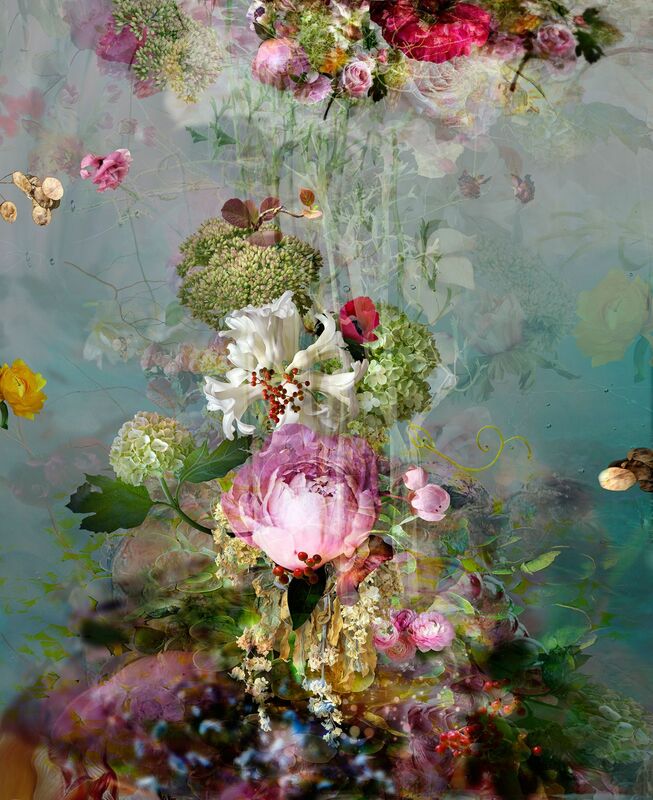 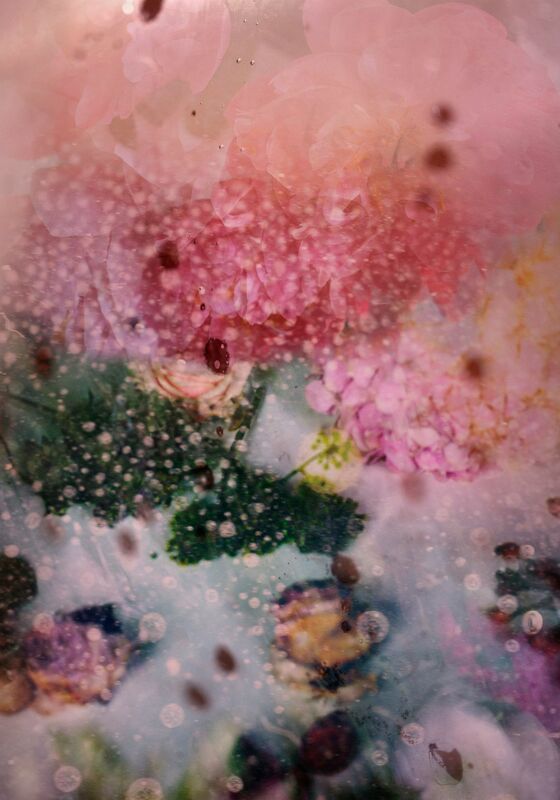 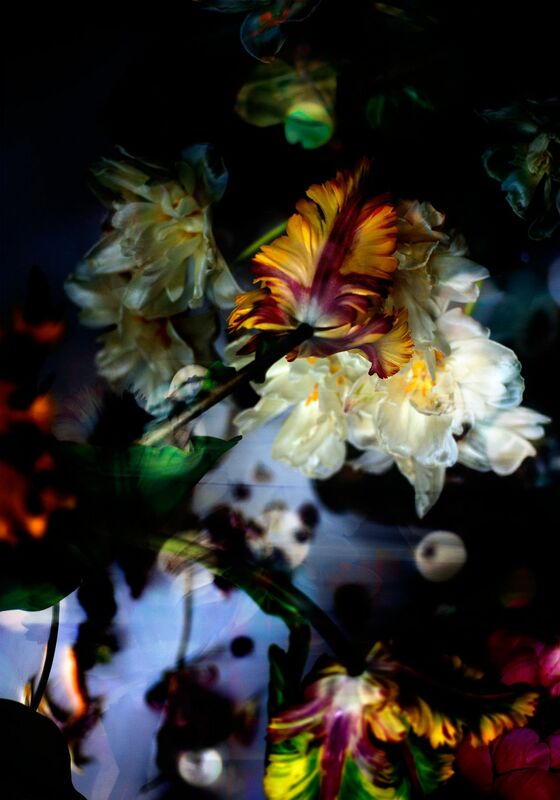 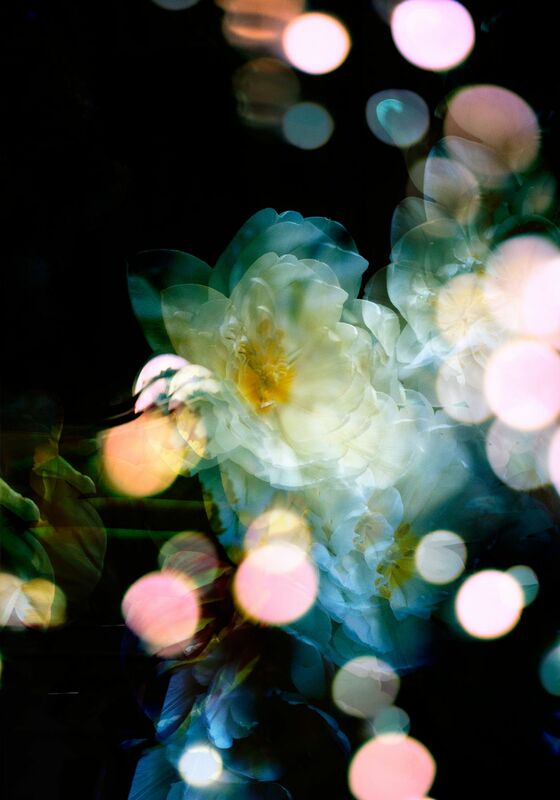 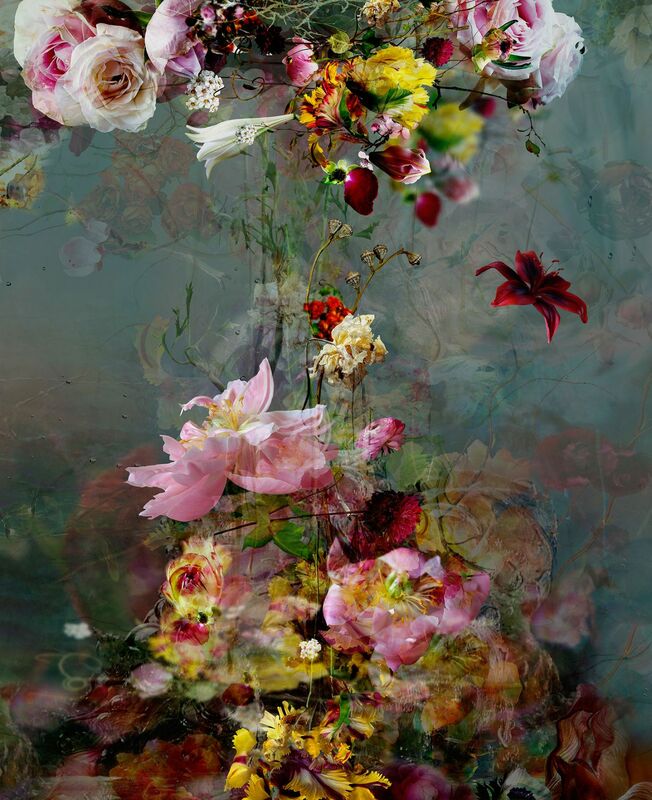 Belgian photographer Isabelle Menin creates portraits of flowers that are not only gorgeous in form and color, but also uniquely expressive. 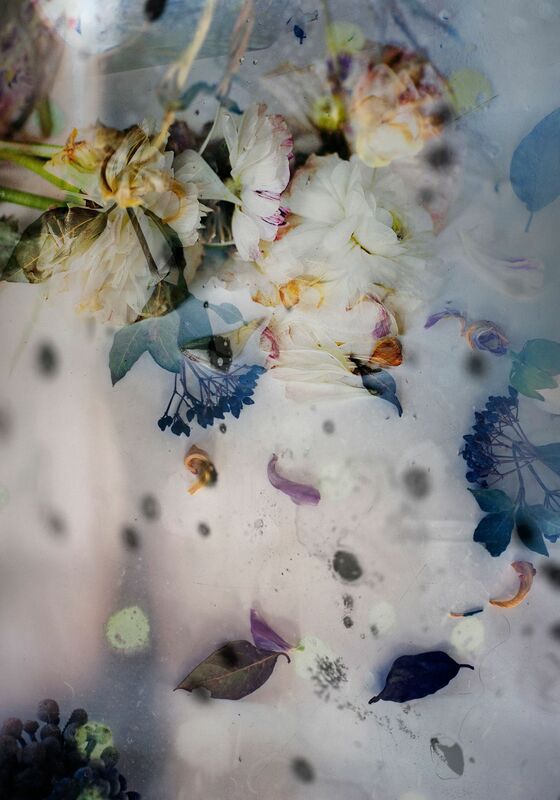 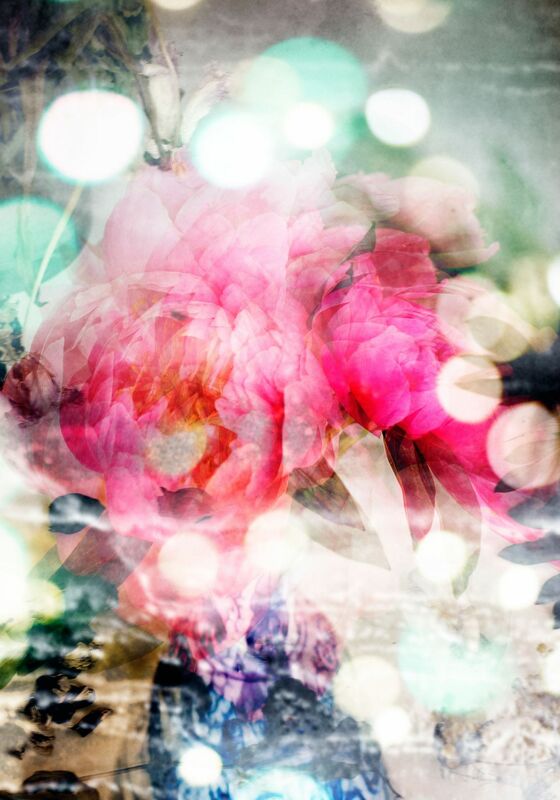 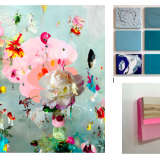 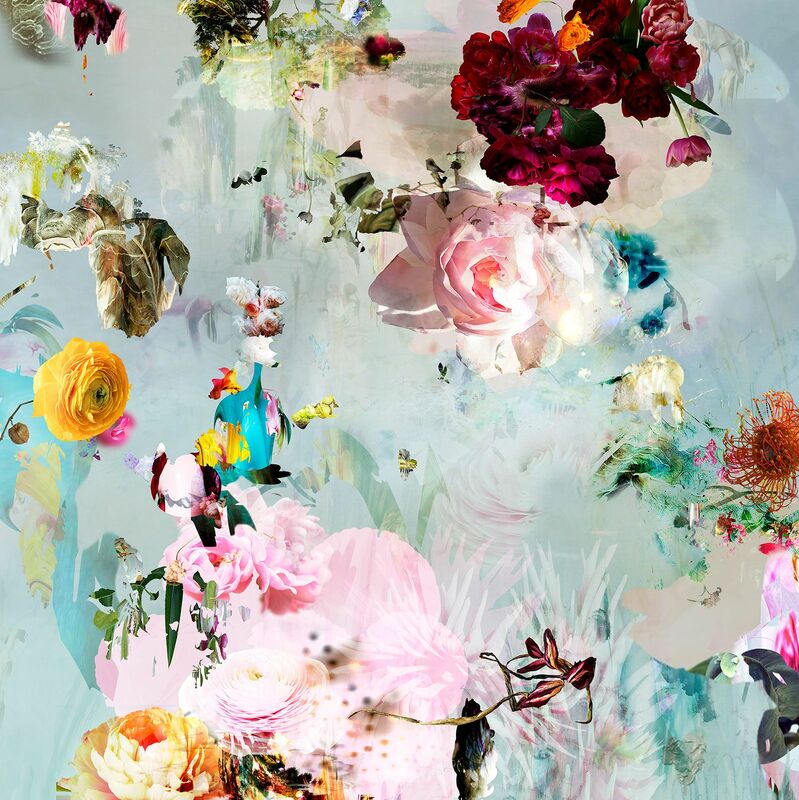 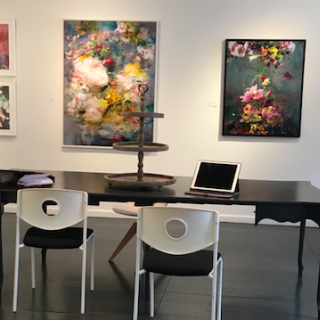 Fresh blossoms and withering blooms melt into each other in dreamy washes of color and hazy drips and swirls. 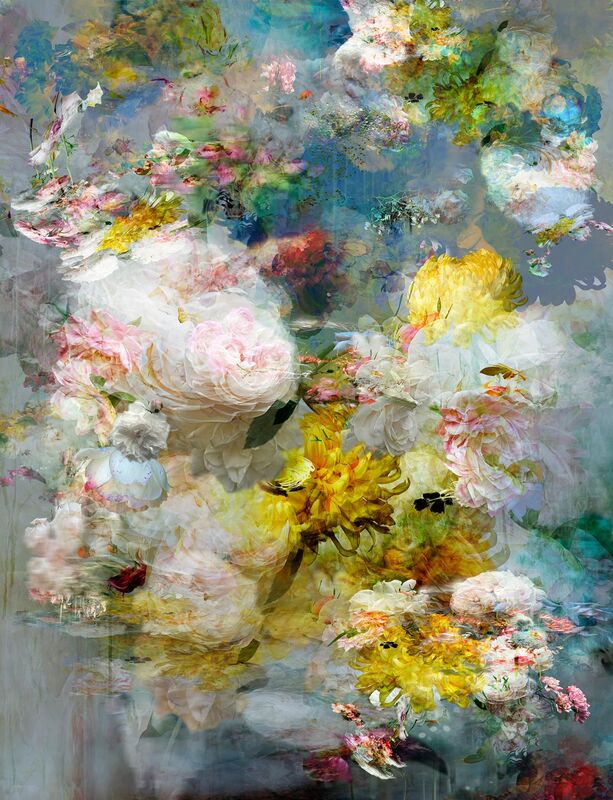 Hues and flowers are reflected in pools of water, as forms disintegrate and reappear in trickles and indistinct glimmers of light. 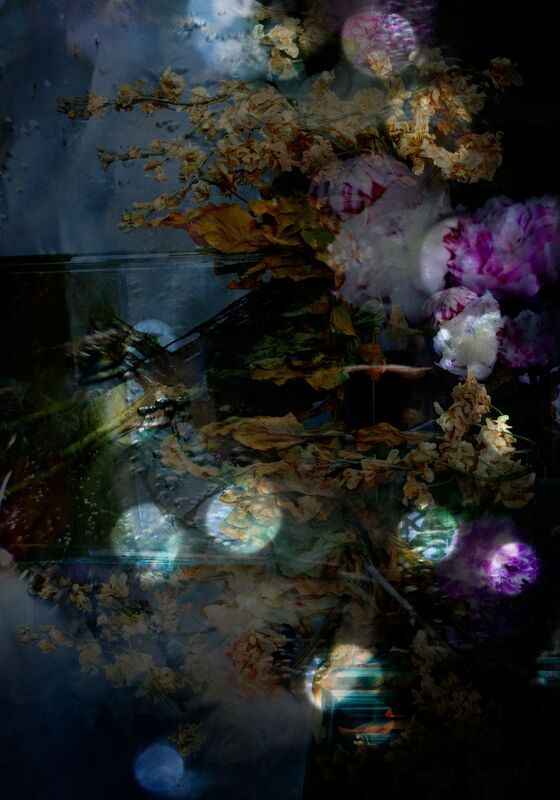 The resulting images are breathtaking interplays of light and shadow, form and reflections, and breathtaking colors and textures. 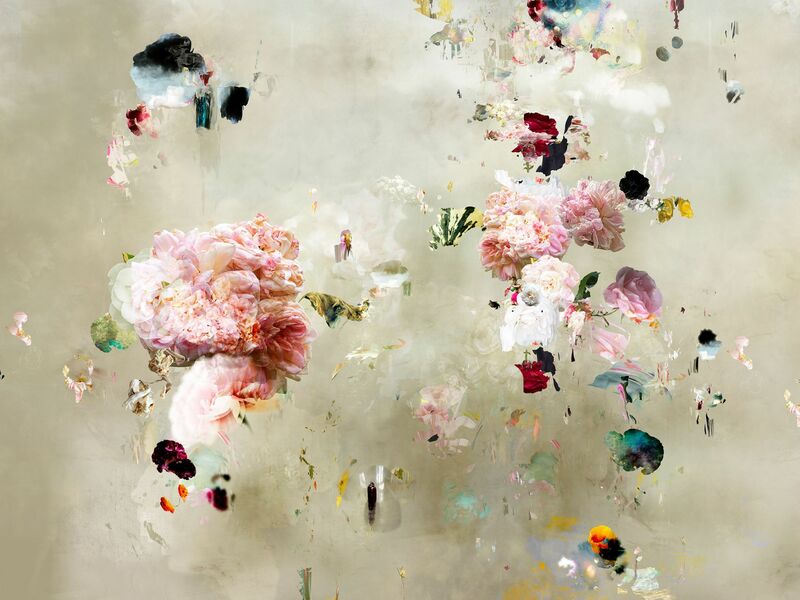 Looking at Menin's vibrant and organic work, it isn't surprising to learn that she has a background in painting. 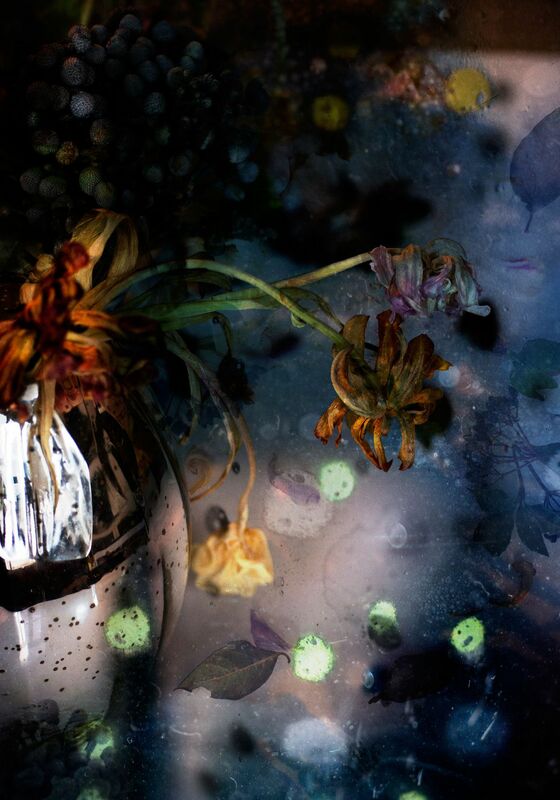 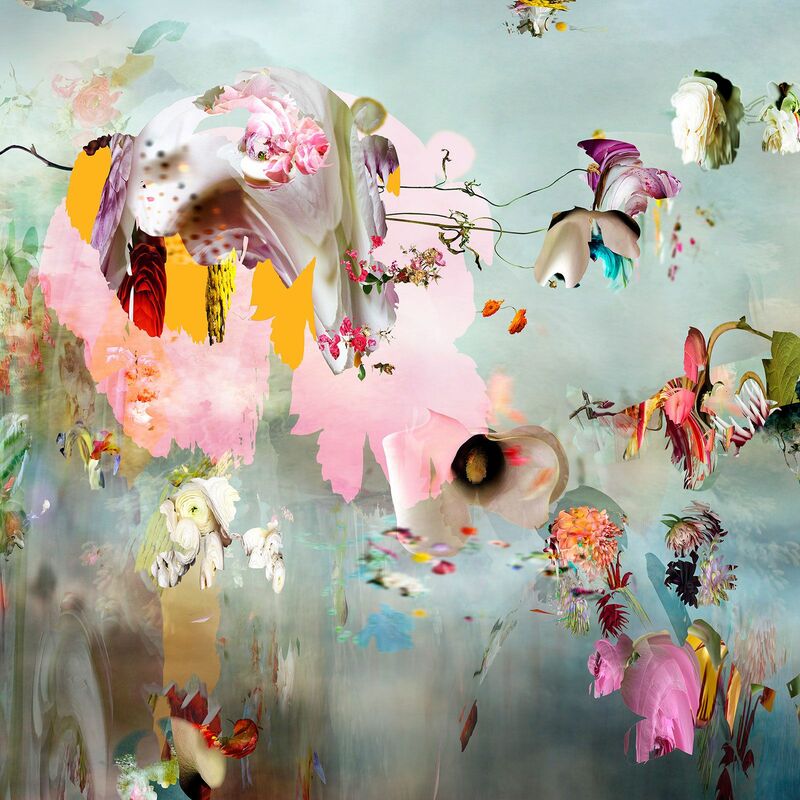 After working with paint for over a decade, the artist turned to digital photography instead. 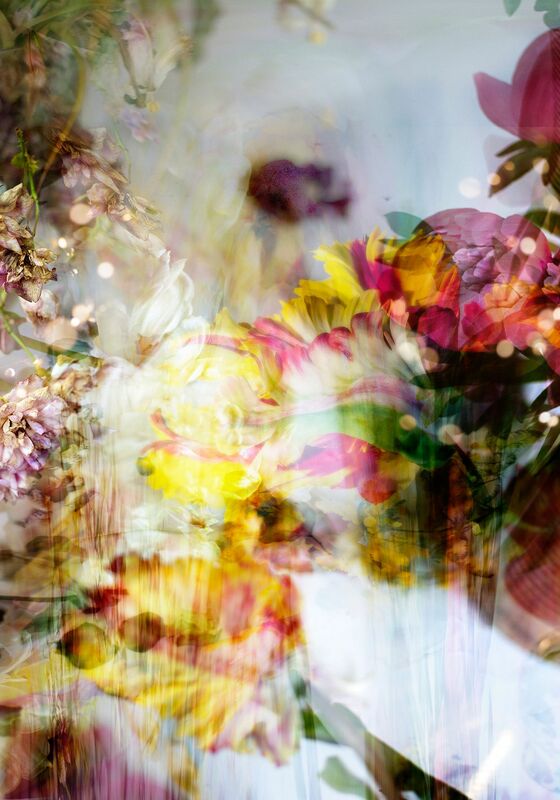 With rich colors, bold textures, and a stunning abstract quality, her creations look more like masterful illustrations and paintings than conventional photographs. 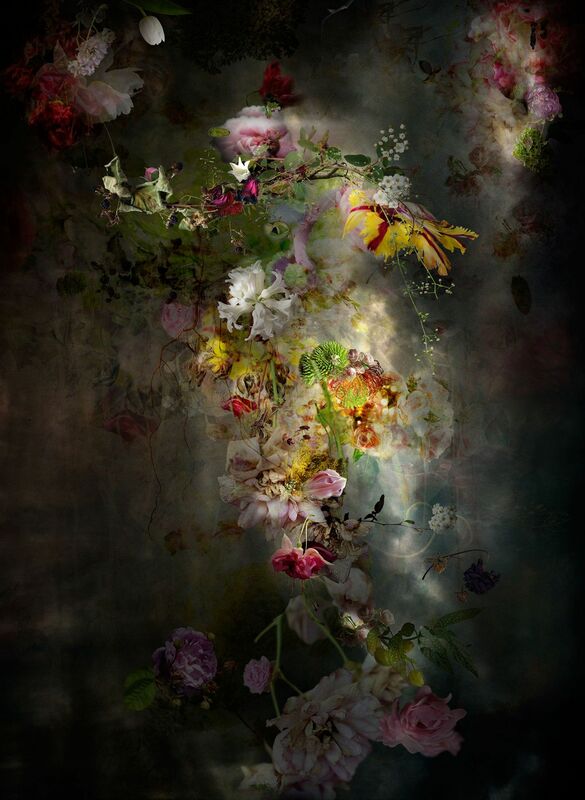 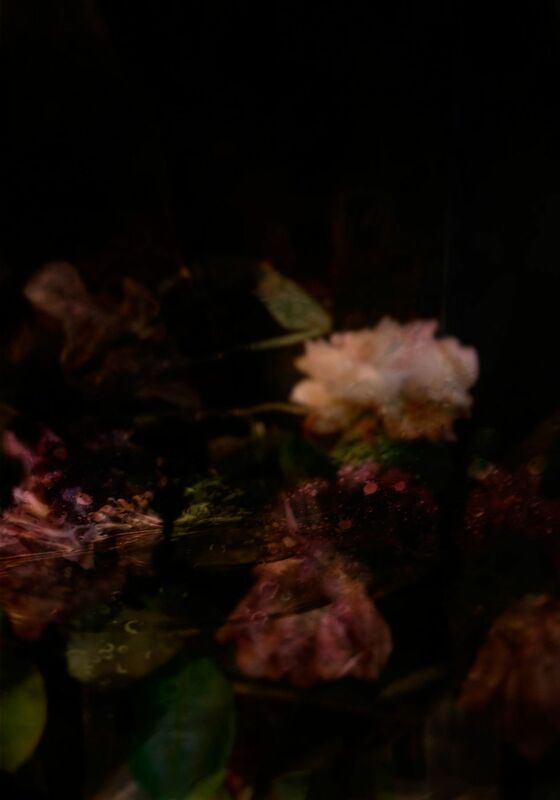 Part of this is due to the digital manipulation that Menin loves using to transform and blend photos in order to create her beautifully moody images. 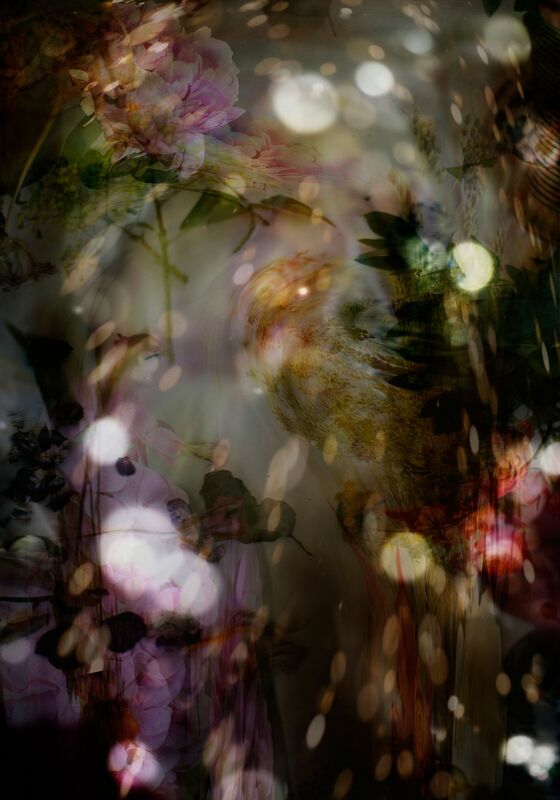 Menin calls her work "inland photographs and disordered landscapes" in reference to the strange complexity of nature, which reminds her of human complexity. 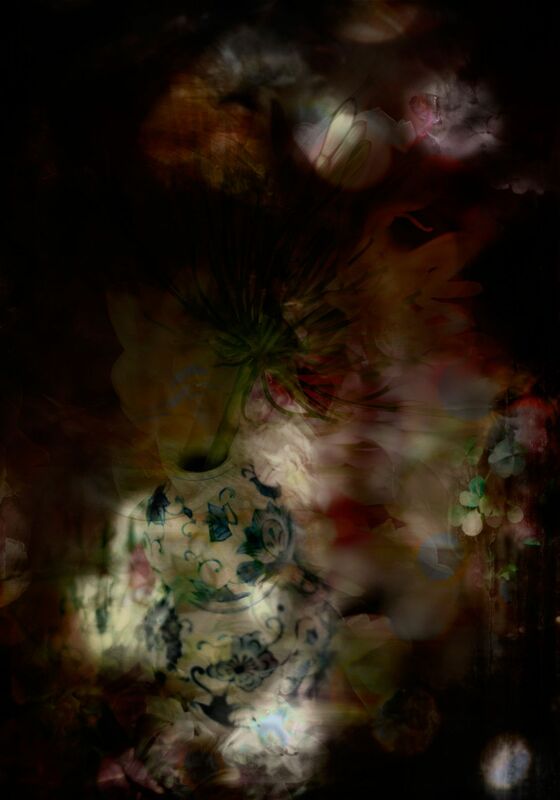 She says, "The uncontrolled forces, the shapes’ complexity, the interweavings and the synergy of the elements, they all look to me like a mirror of human spirit. 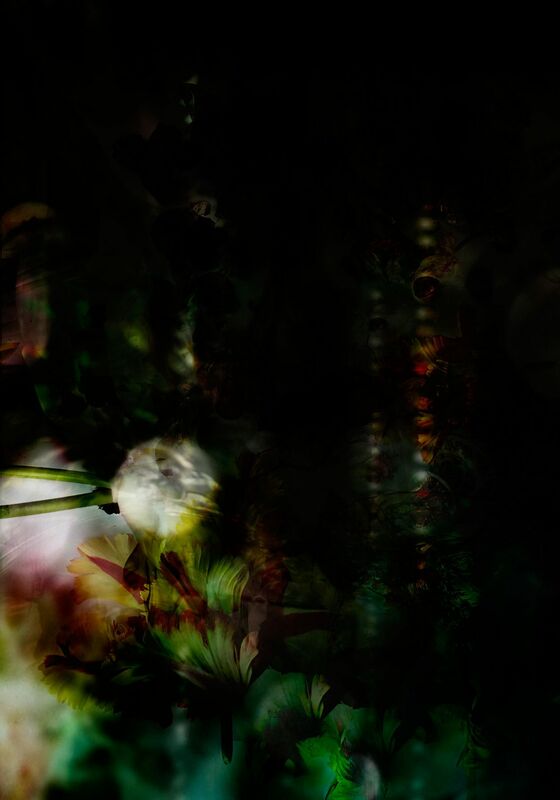 We are no straight lines, we are like nature, a very large network of interferences that work together to produce something which sometimes looks accomplished and then gets destroyed in a perpetual coming and going between order and disorder." 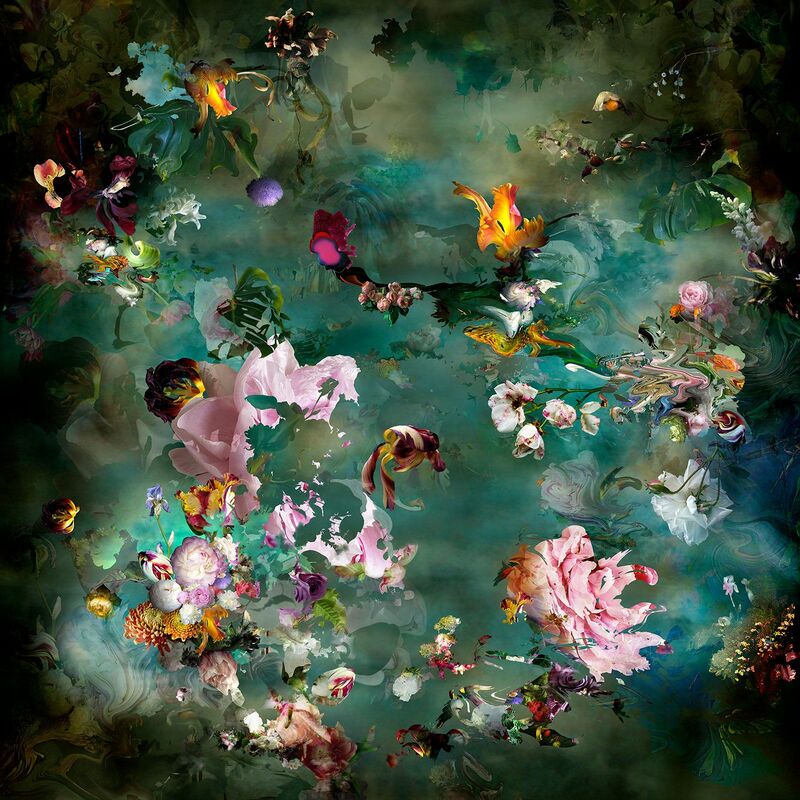 In the past five years, Isabelle Menin has had numerous exhibitions in Europe and internationally -both at art fairs and museums. 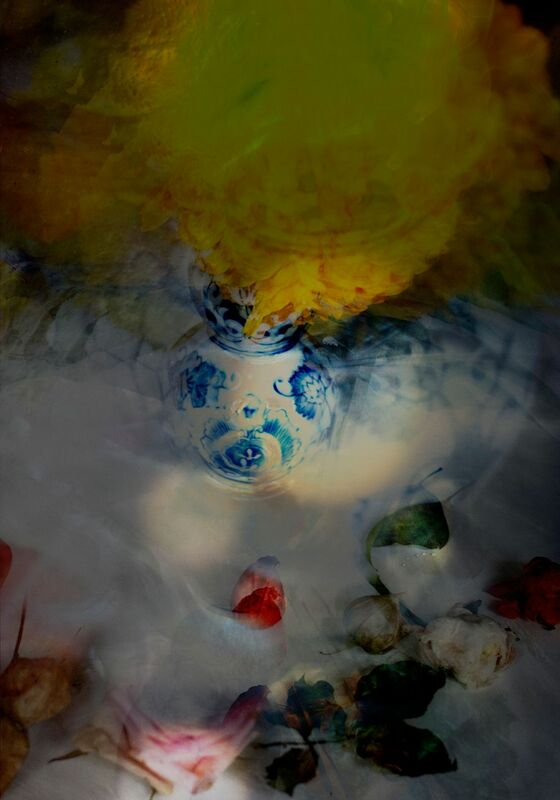 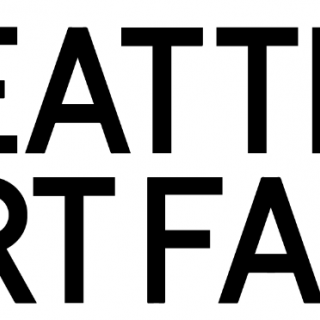 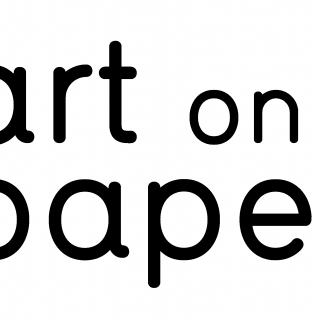 These include the Belgium Modern Art Exhibition , Hongqiao Museum in Shanghai, China, OFF Art Fair – Brussels, Kunstraï – Amsterdam, MIA Fair - Milan – Italy, Setup Contemporary Art Fair, Bologna – Italy, Fotofever - Carrousel du Louvre - Paris - France , The Perception of Beauty - Group show - Sophie Marée Gallery (La Haye), Femmes de Belgique - Group Show - Sophie Marée Gallery (La Haye), and « FLORA » , Musée des Beaux-Arts, Mons, Belgium . 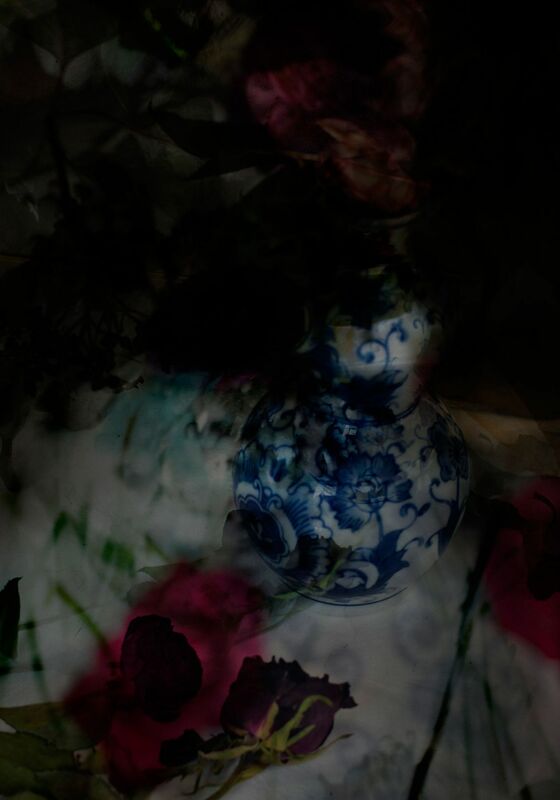 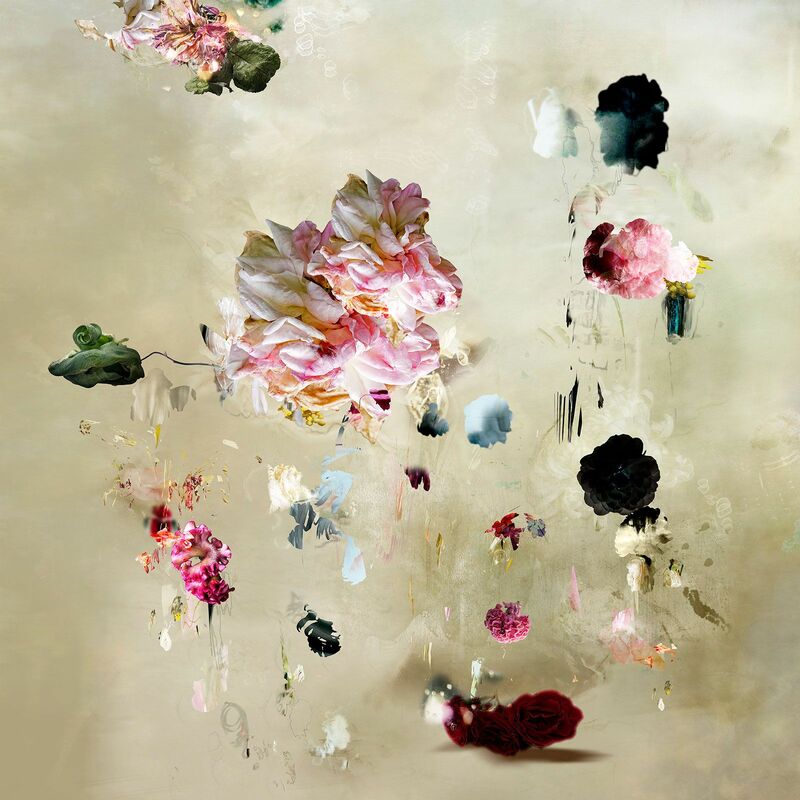 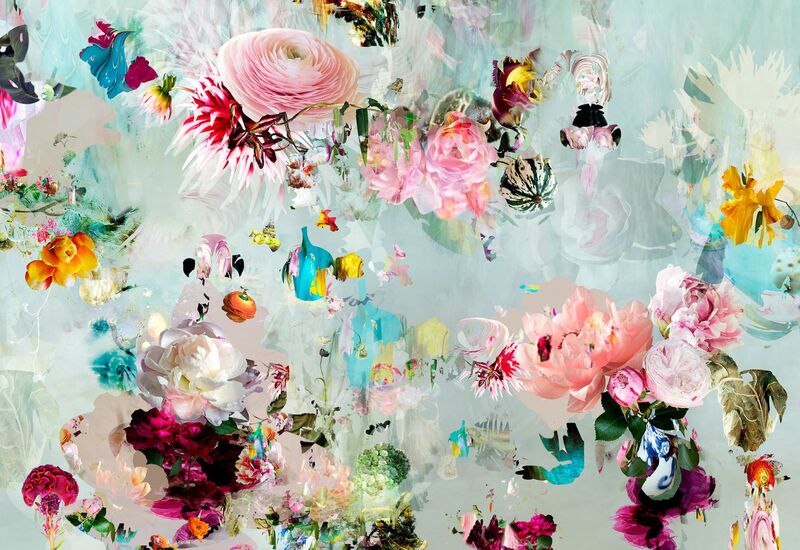 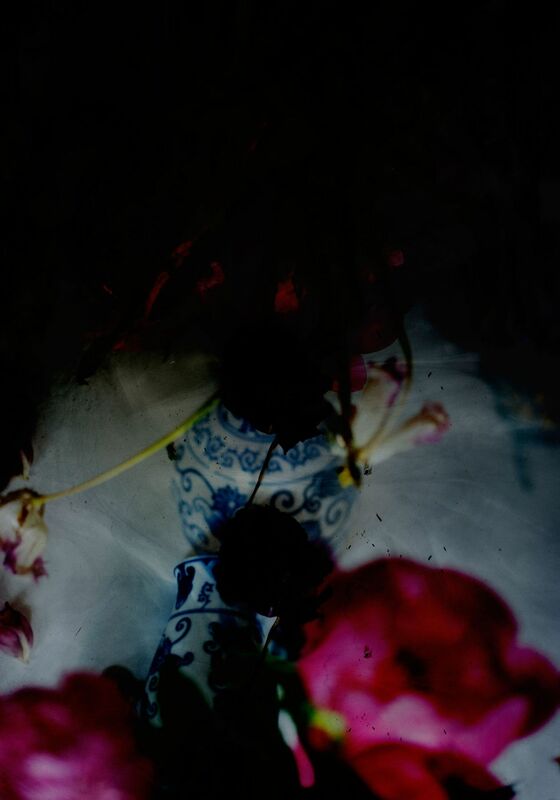 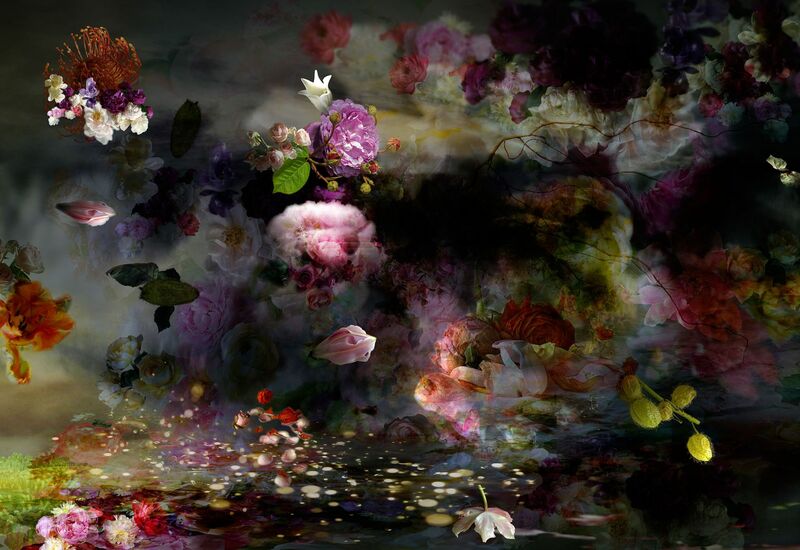 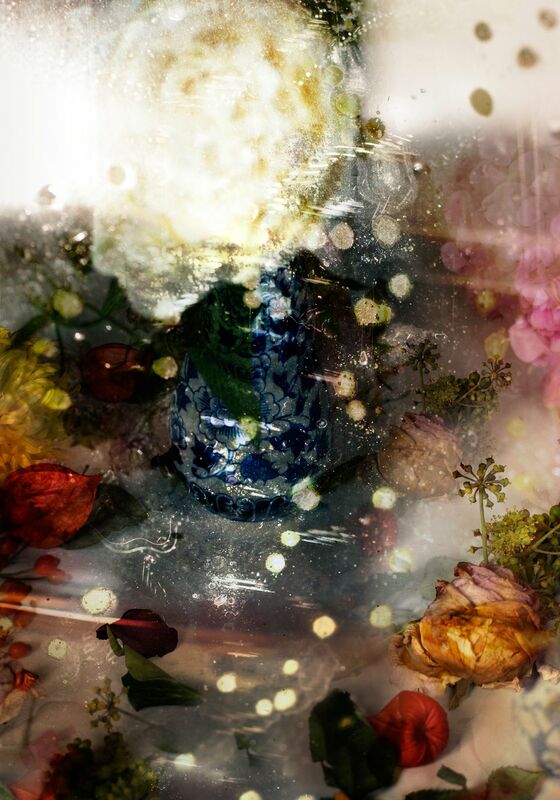 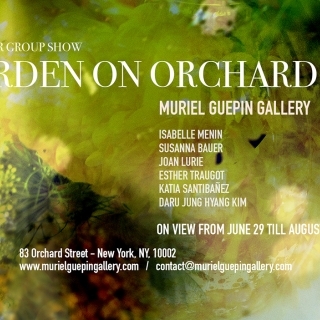 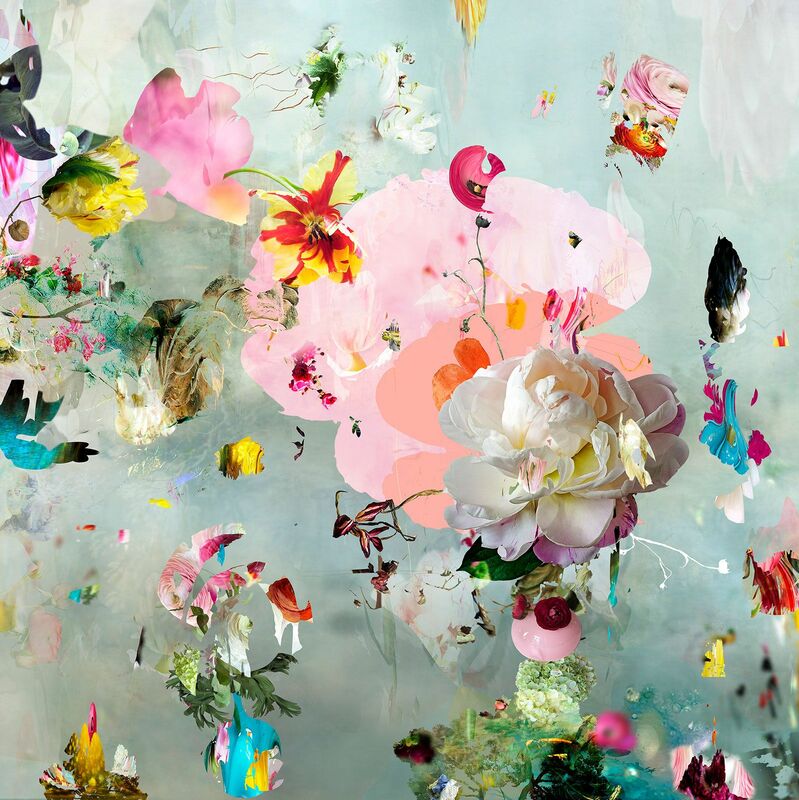 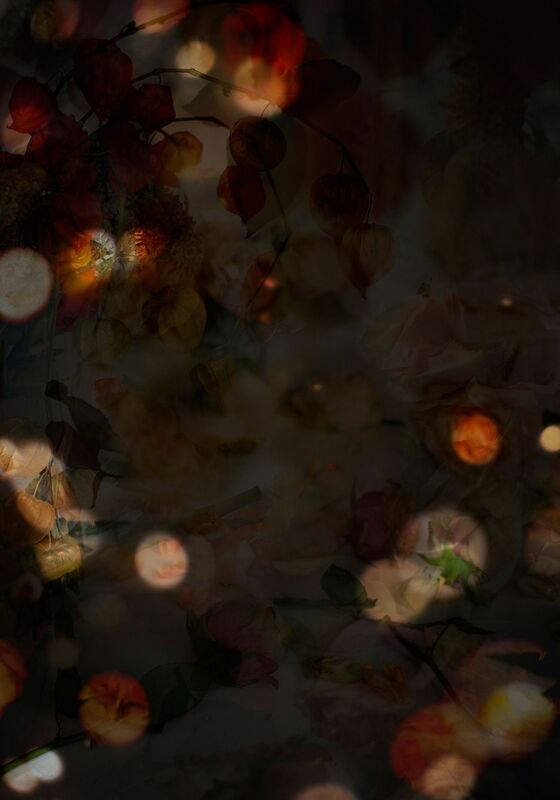 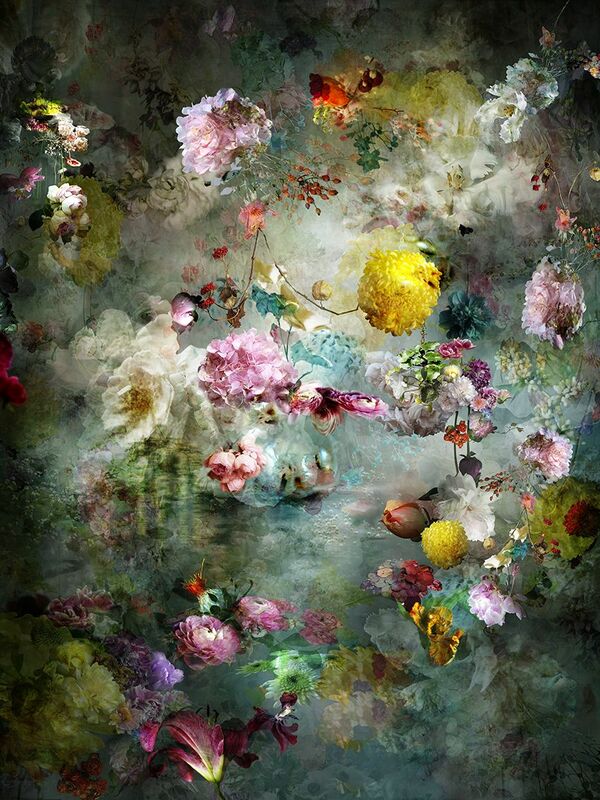 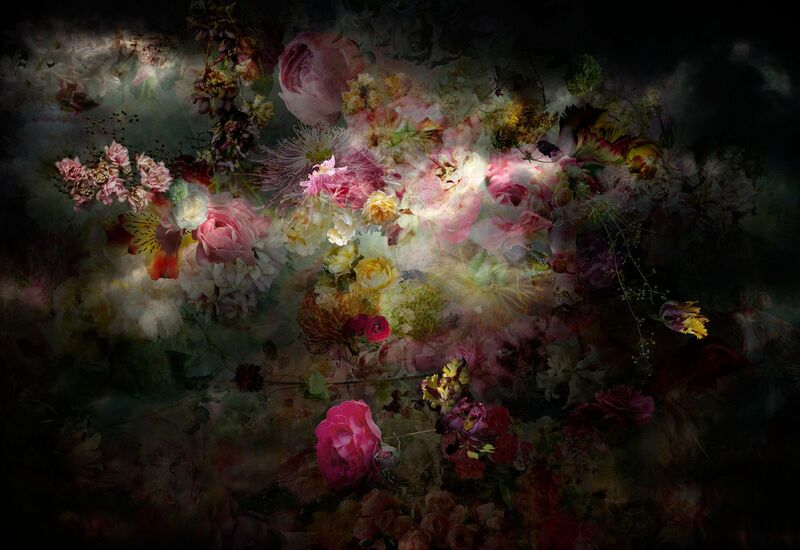 Isabelle Menin lives and works in Brussels, Belgium and is represented by the Muriel Guépin Gallery.